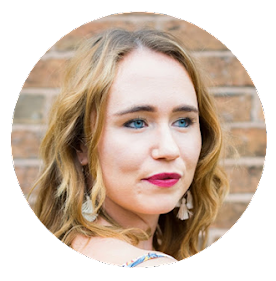 Most of us enjoy getting ready and glammed up for a party but for us girls it can also mean hours of trawling through our wardrobes and declaring "I have nothing to wear". 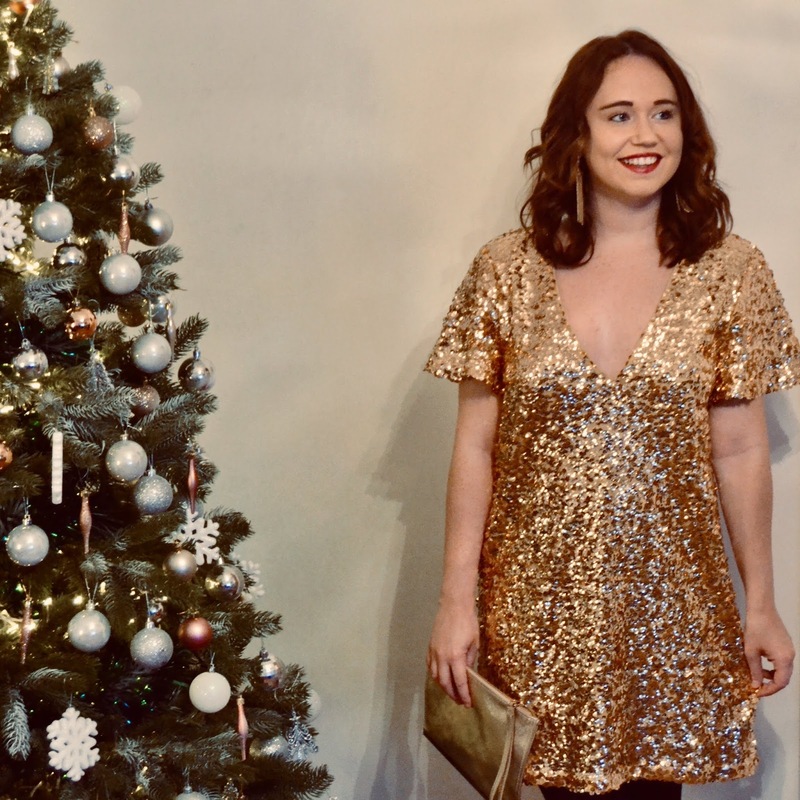 Or browsing through endless online fashion retailers to find that perfect party outfit but that's where sequins are the answer to all our outfit problems. 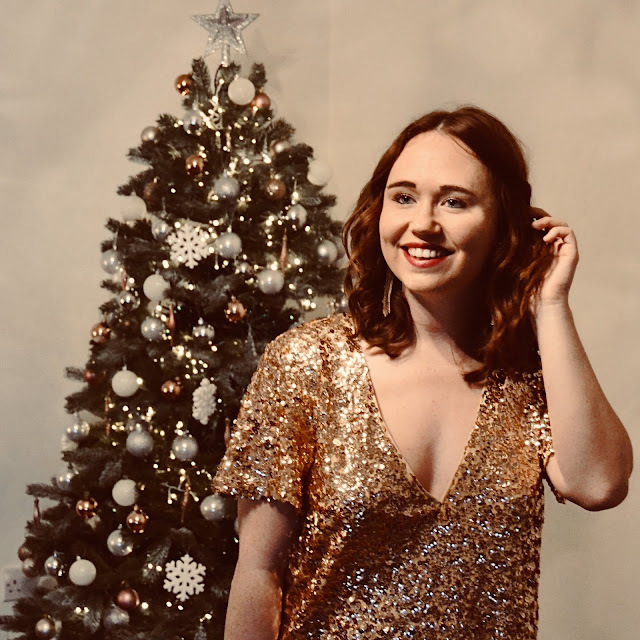 With one look sequins catch anyone's eye and make a major fashion statement plus it will easily be the funnest item you have in your party wardrobe. Although sequins need to be worn carefully especially if you're going to choose a dress like mine covered top to bottom in sequins. 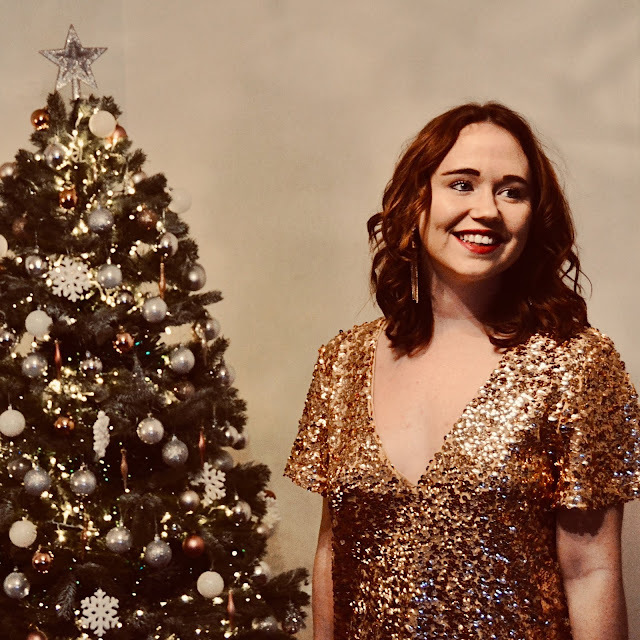 The rules are to opt for a dress that doesn't have an over the top silhouette, stick with one single colour (black, green, gold, and silver are all gorgeous) that compliments your skin tone and buy a dress that fits your shape perfectly so you feel confident on the dance floor. Also make sure your dress is long enough which will mean something different to everyone, but too short in front of your work colleagues is a big no no. If you're tempted to wear sequins to your Christmas party but don’t want to wear them top to toe like me, then find a party dress that has simple sequin details or buy a sequin skirt to pair with a simple top. 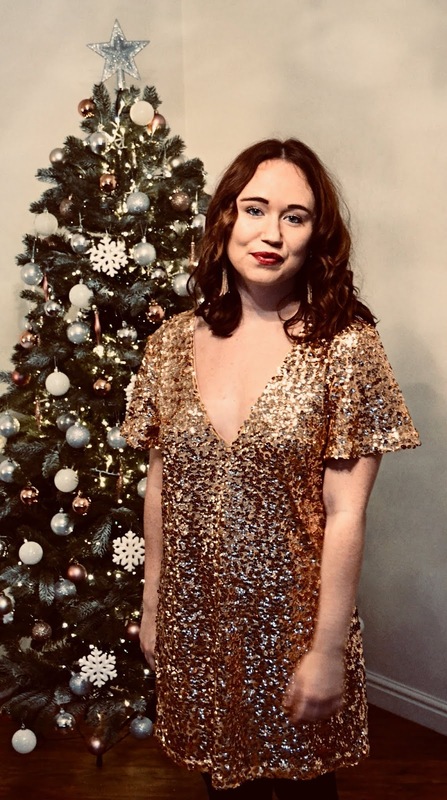 Or if you're not a fan of shift dresses there are also many other styles of sequin dresses on Boohoo including long sleeved, backless, cami and bodycon. 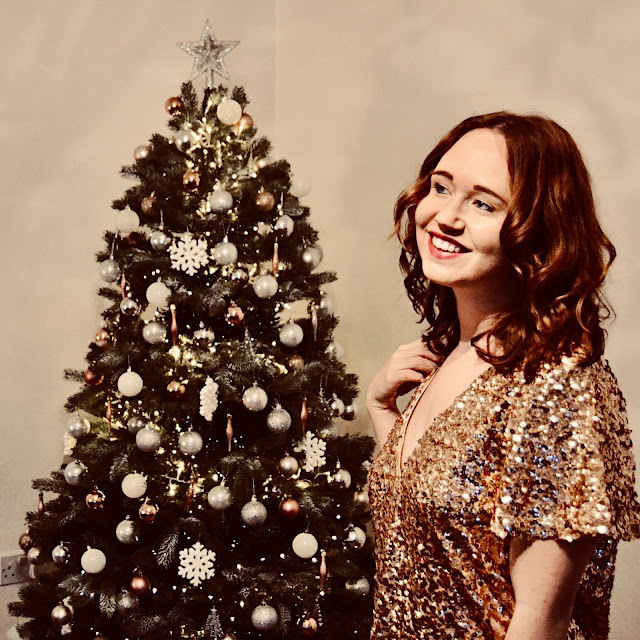 You can finish off your sequin look and ramp up the sparkle with some glitzy drop earrings but don't overdo it on the sparkle, pair your dress with solid colours like black understated heels or a clutch bag. A sequined dress should do all the talking, and the rest of your outfit should complement it. Bring the whole party look together with a chic, oversized blazer or faux fur jacket to keep you extra cosy in the winter evenings. What style of dress will you be wearing this party season?